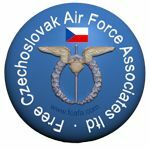 During the latter war years an ever-increasing number of Czechoslovak airmen were syphoned off from operational duties to take up a transport role, initially with either 24 or 511 Squadron. This latter unit was based at RAF Lyneham from October 1942 (where it had been formed from a nucleus of 1425 Flt). Its role was to carry VIPs and priority freight to the Middle East. (In 1943, the Squadron flew the Prime-Minister, Winston Churchill, to the War Conference in Casablanca). In October 1943 the unit began a service to India using Liberator transport aircraft. During June 1944 it was reorganised into two Flights, ‘A’ Flight with some 13 Avro York aircraft to provide a service to the Middle East and ‘B’ Flight with 12 Liberator transport aircraft to provide a capability to undertake longer range flights. The unit had also maintained hitherto a number of Dakota aircraft, but these were disposed of as a result of the reorganisation. In September 1944, two of the Squadron’s Liberators were dispatched to the Soviet Union in support of RAF operations against the German battleship Tirpitz. They flew from Lossiemouth to Yagodnik and later flew aircrew back from Archangel. On the 1st of October 1944 after transferring its nine Liberators to 246 Sqn the unit ceased to use the type. The Czech aircrew that flew with 511 Squadron were involved in a range of overseas VIP flights often to the Far East. 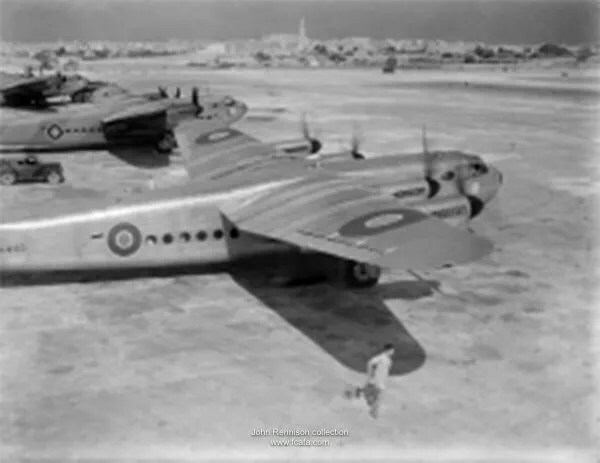 The Czechs concerned were brought under the umbrella of the Czechoslovak Air Transport Pool in late 1944 and operated mainly with Avro Yorks and Liberator transport aircraft. Pilots included Flt/Lt Eduard PRCHAL (he had earlier flown Hurricanes fighters during the Battle of Britain with 310 Squadron, Beaufighters with 68 Squadron and had also served with 24 Sqn), who was the pilot of the ill-fated Liberator AL523, that crashed on take-off from Gibraltar in July 1943. On board were the Polish Prime Minister (in exile) General Władysław Sikorski and his entourage. The aircraft dived into the sea and all aboard were killed, with the exception of Prchal. The blow to the Polish government in exile was immense and rumours about the incident flew back and forth. However, Prchal was cleared of any wrongdoing or negligence and later returned to 24 Squadron and resumed his duties). By 1944 a number of Czech personnel had been posted to 24 Sqn. The unit was based at Hendon and carried out a wide range of overseas flights using Hudsons, Wellingtons and Dakotas. During 1944 the Czech Air Transport Pool was formed under the command of Gp/Capt Alois KUBITA CBE. It was initially headquartered at Harrow and had at least one Anson aircraft (PH651) at its disposal. The Czech crews flew VIP trips abroad (including to the Moscow and Yalta Conferences). One of the Hudsons used by 24 Squadron was AE636, which was named ‘Spirit of Prague’ and was often flown by Czech pilots/crews on flights to Gibraltar and Malta. The longest-serving Czech pilot with 24 Sqn would turn out to be F/O František ALTMAN who flew a wide range of passengers during his time with the squadron, including Winston Churchill, Lord Trenchard, Anthony Eden and Sir Stafford Cripps. In 1944 246 Squadron was re-formed at Lyneham with aircraft and some personnel from 511 Squadron (it had been a Coastal Command unit with Sunderland flying-boats up to its disbandment in April 1943). It was initially equipped with Liberator C.VII and Halifax IIIs and later took some Avro Yorks onto strength. Once it had been formed the unit then moved to Holmsley South, in Hampshire, on 1 December 1944. 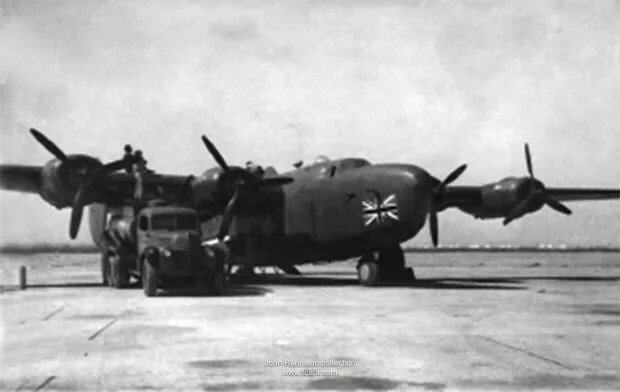 Avro York Aircraft at Malta. The squadron’s Liberators were constantly on the go and the Czech airmen were instrumental in providing a service to the Far East. For instance, on the 15th of December 1944, Liberator EW613 flew from Holmsley South to Lyneham and then to Malta with F/O Jan SERHANT and F/O Jaroslav DOLEŽAL at the controls (W/O František SADIL was the Radio Officer). In Malta the crew changed aircraft, taking over Liberator EW617 and continuing there flight on to Cairo, Shaibah and Karachi. They then flew on to Calcutta and thence to Allahabad from where they returned to Malta. Here they again changed aircraft to Liberator EW623, before finally arriving home via St Mawgan and Lyneham on the 28 of December. Again on March the 29th 1945 Liberator FL909 took off from Holmsley South with F/O Jaroslav DOLEŽAL as Captain and set course for Lyneham en-route to Malta. Seven hours and forty-nine minutes later it landed at Luqa. The flight continued on through Cairo, where the crew changed aircraft to Liberator EW618, before arriving at Shaibah on the 5th of April. The flight finally terminated at Allahabad and then returned to Cairo. Here they once again changed aircraft to Liberator KH169, finally arriving back at base in the early afternoon of the 15th of April. A Liberator of 246 Sqn. 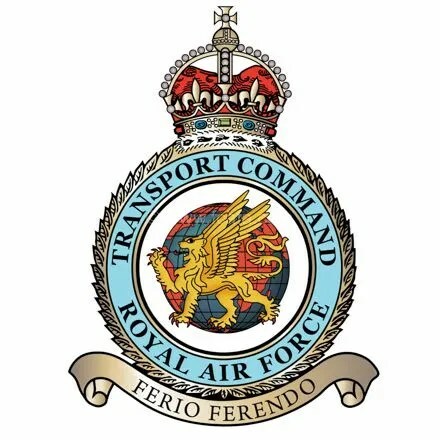 105 Operational Training Unit (OTU) had been formed earlier, in April 1943 at Bramcote, as part of No.44 Group RAF, to train crews for transport (airline) squadrons. It had satellites at Nuneaton and Bitteswell and had 40 plus Wellingtons on strength. By September 1944, Dakota aircraft had begun to arrive and by May of 1945, the unit had some 35 Dakotas on strength. Typical aircraft serials were Wellington X MF521 (8F-R) and Dakota KJ875 (8F-GE); plus it had support aircraft such as Magisters, Tiger Moths and Oxfords. F/O Václav JÍLEK 11/44 – 3/45 (pilot) (KOAS 14.3.45. ); W/O Dalibor BROCHARD 11/44 – 3/45 (W/Op) (KOAS 14.3.45. ); F/O Jan SERHANT 11/44 – 8/45 (pilot); F/O Jaroslav DOLEŽAL AFC 11/44 – 8/45 (navigator); F/Sgt František HAMBÁLEK 11/44 – 8/45 (flight engineer); F/Sgt Gejza HOLODA 11/44 – 8/45 (flight engineer); Flt/Lt Alois VOLEK 11/44 – 3/45 (navigator) (KOAS 13.3.45. ); Flt/Lt Ondřej KACÍŘ 11/44 – 8/45 (W/Op);(all arrived in November 1944. The deaths noted above occurred whilst the personnel were serving with 246 Sqn. They were part of the crew of Liberator VIIc EW626 of 246 Sqn, which crashed on take off from the Azores in 1945 – all on board were killed (see below for details). At 0113 hours on 14.3.45 Liberator C.VII EW626 of 246 Squadron, crashed shortly after take off in the Azores. The aircraft came down some 4 miles west of Lagens, killing all on board. The pilot, F/O Václav JILEK, had apparently been told to turn right after takeoff, but he turned left and flew into high ground. It was thought possible that he might have been experiencing air turbulence close to the ground and that caused him to turn to port against the advice he had been given. 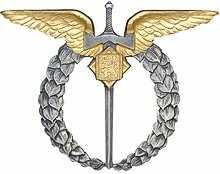 The training on the OTU continued with the following personnel; F/O Karel KOPAL 12/44 – 8/45 (pilot); W/O Viktor TÉGEL 12/44 – 8/45 (W/Op) (born in Ruthenia); F/O Josef KUHN DFM 12/44 – 8/45 (pilot); F/O Bohumil SIGMUND 12/44 – 8/45 (navigator); W/O Alois STROUHAL 12/44 – 8/45 (W/Op); F/O Oldřich DOLEŽAL DFC 12/44 – 8/45 (pilot); Flt/Lt Zdeněk HANUŠ DFC 12/44 – 8/45 (navigator); F/O Ervín KOVÁČ 12/44 – 8/45 (navigator); W/O František SADIL 12/44 – 8/45 (W/Op); F/Sgt Ludvík KONDZIOLKA 1/45 – 3/45 (flight engineer); F/Sgt Karel HEŘMAN 1/45 – 8/45 (flight engineer); F/Sgt Lubomír KRACÍK 1/45 – 8/45 (flight engineer); F/O Stanislav HUŇÁČEK 1/45 – 8/45 (pilot); F/O Jaroslav MOTL 1/45 – 8/45 (navigator); F/O František NAVRÁTIL 1/45 – 8/45 (W/Op); W /O Adolf PEGŘIMEK 3/45 – 8/45 (flight engineer); Flt/Lt Jaroslav HÁJEK 3/45 – 8/45 (pilot); F/O František FAMFULE 3/45 – 8/45 (navigator); W/O Josef LAICHTER 3/45 – 8/45 (navigator); F/O Jaroslav NOVÁK 3/45 – 8/45 (navigator); W/O Václav TRNKA 3/45 – 8/45 (W/Op); Flt/Lt Václav RYBA 3/45 – 8/45 (pilot);Flt/Lt František RADINA 4/45 – 8/45 (pilot); Flt/Lt Jaromír MOCEK 4/45 – 8/45 (navigator); Flt/Lt Miroslav VILD DFC 4/45 – 8/45 (W/Op); F/O Jaroslav FRIEDL 4/45 – 8/45 (pilot); F/O Vlastimil SKÁKAL 4/45 – 8/45 (navigator); W/O Arnošt POLÁK 4/45 – 8/45 (W/Op); W/O Vojtěch SLEZÁK 3/5/45 – 7/5/45! (flight engineer) arrived in May 1945. Having completed their training these personnel would then move on from Bramcote to 246 Sqn at Holmsley South. This list is probably incomplete and requires further research. Wellington Ic (C & D Flights); N2735, N2765, N2766, N2827, R1003, R1010, R1042, R1060, R1092, R1157, R1412, R1457, R1529, R1626, R1652, R1653,T2827, T2968, T3000, X9806, X9817, X9825, X9915, Z1051, Z8956, DV559, DV572, DV766, DV807, DV837, DV865, DV928, ES987, ES988 and LA968. Wellington X (B Flight); LP805 (8F-K), LP816 (8F-T0, LP817 (8F-R), MF521 (8F-R), MF570 (8F-M), MF577, MF679 (8F-D), MF689 (8F-B), MF699 (8F-K), MF700 (8F-V), MF702 (8F-C), NA733 (8F-W), NA734 (8F-H), ..448, ..553 (8F-L), ..643 (8F-X), ..908, ..913 (8F-J), ..351 (8F-U), ..549 (8F-A) and ..677 (8F-N). Wellington X (C Flight); LP280, LP822, LP824, LP821 (8F-A), MF134, MF242, MF521 (8F-R), MF654 (8F-G), MF655, MF659, MF690, MF691, MF692 (8F-G), MF699 (8F-X), MF701, NA713 (8F-K), NA714 (8F-F), NA751, ..356, ..410, ..444 (8F-S), ..548, ..665 (8F-Y) and ..708. Plus, in June 1945 the unit began to re-equip with Dakota III and IV aircraft. A typical example would be Dakota KJ875 (8F-GE). (both airmen were posted to 24 Sqn on completion of training). (all three airmen were posted to 511 Sqn on completion of training). Crew ‘A’– W/O Oldřich HLOBIL (pilot), F/O Miroslav LAŠTOVKA (navigator) and Sgt Stanislav Duba (W/Op). Crew ‘B’ – F/O Jaroslav DOKTOR (pilot), Flt/Lt Jaromír FORETNÍK (navigator) and Sgt Ladislav KONCURIAK (W/O). Crew ‘C’ – F/O Jan KAUCKY (pilot), P/O Vlastimil HLAVÁČ (navigator) and Flt/Lt Jaroslav LIŠKA (W/Op). 22/06/44 F/O František ŠVEJDAR (W/Op) and F/O Anton MARTIŠ (W/Op). (Both airmen ultimately ended up being posted to 24 Sqn). 13/09/44 Consisted of Flt/Lt Václav FOGLAR (Pilot), F/O Jaromír GRYGAR (Navigator) and Flt/Lt Ludvík KRÁL (W/Op). (On completion of training these airmen were posted to 147 Sqn). 08/11/44 Consisted of F/O Václav JILEK (pilot), F/O Alois VOLEK (Navigator) and W/O Dalibor BROCHARD (W/Op). (Shortly after completing training these airmen were posted to 246 Sqn). Crew ‘A’– F/O Karel KOPAL (Pilot), F/O Ervín KOVÁČ (Navigator) and W/O Viktor TÉGEL (W/Op). Crew ‘B’ – F/O Oldřich DOLEŽAL DFC (Pilot),Flt/Lt Zdeněk HANUŠ (Navigator) and W/O František SADIL (W/Op). Crew ‘C’ – F/O Josef KUHN (Pilot), F/O Jaroslav NOVÁK (Navigator), F/O Robert SIGMUND (Navigator from 1/11/44) and W/O Alois STROUHAL (W/Op). In the second week of December, the three crews were posted to 246 Squadron). 29/09/44 During September F/O Marián PATZELT passed out as a W/Op, after being trained as an individual from 5/9/44 to 29/9/44. On completion of his training, he too was posted to 246 Squadron. Also during this month Flt/Lt Petr DUŠEK a navigator at 105 OTU, was posted (on 17/9/44) to a Wing of RAF Transport Command at Hendon as Navigation Officer. 16/12/44 The course was extended and training in fact ended on 16/12/44. Consisted of F/O Stanislav HUŇÁČEK (Pilot), F/O Jaroslav MOTL (Navigator) and F/O František NAVRÁTIL. The final part of the training was completed using the satellite airfield at RAF Lyndley. (Once the training was completed the airmen were posted to 246 Squadron). 02/02/45 Consisted of Flt/Lt Ladislav SVĚTLÍK (Pilot), F/O Adolf JURMAN (Navigator) and W/O Václav KAŠPAR (W/Op). On the 16th of February, this crew was posted to a Ferry Unit at RAF Talbenny, where they remained until May 1945, flying both Wellington Mk.Xs and Mk.XIIIs. Crew ‘A’– Flt/Lt Jaroslav HÁJEK (Pilot), F/O František FAMFULE (Navigator) and W/O Josef LAICHTER (W/Op). Crew ‘B’ – Flt/Lt Václav RYBA (Pilot), F/O Jaroslav NOVÁK (Navigator) and W/O Václav TRNKA (W/Op). (On completion of their training the crews were posted to 246 Squadron). 246 Sqn including some Czechoslovak airmen. Ground training in the use and operation of Direction Finding (D/F) equipment was also carried out at the OTU. Both the base station at Bramcote and the satellite at Lyndley were used Two airmen were trained for this role between 26/02/45 and 18/04/45.They were W/O Václav KOSTELECKÝ and W/O Erich REICH. 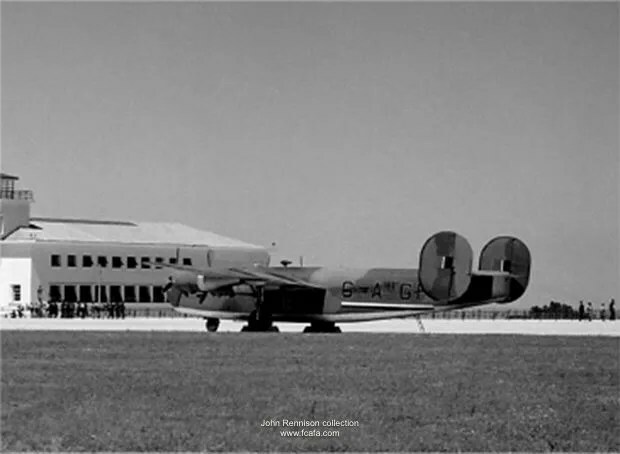 Following their training, they were posted to the BOAC base at Whitchurch, south of Bristol. Crew ‘A’– Flt/Lt František RADINA (Pilot), Flt/Lt Jaromír MOCEK (Navigator) and Flt/Lt Miroslav VILD (W/Op). (On completion of their training both crews were posted to 246 Sqn). During 1944 nine pilots, eleven navigators and twelve Wireless Operators underwent training at the OTU. In addition during 1945 a further six pilots, six navigators and 6 Wireless Operators were trained (plus two airmen were trained as D/F operators). In June 1945 the unit transferred to No.4 Group and in August 1945 it was re-designated as No.1381 (Transport) Conversion Unit. Liberator G-AGFR (FL918) at Lisbon. The Czech Air Transport Pool was disbanded on 15/2/46. Very interesting indeed. This will make a great source of information about the Czech crews.